When the body of a young girl is discovered hanging from a tree, the only clue the police have is an airline tag around her neck. It reads “I’m travelling alone”. In response, seasoned investigator Holger Munch is charged with assembling a special homicide unit. That means tracking down his former partner – Mia Krüger – a brilliant but troubled detective who’s plans are to die. Reviewing the file, Mia finds something new – a thin line carved into the dead girl’s finger nail; the number 1. This is just the beginning. To save the other children Mia must push aside her own demons and see the bigger picture before the murderer becomes a serial killer. 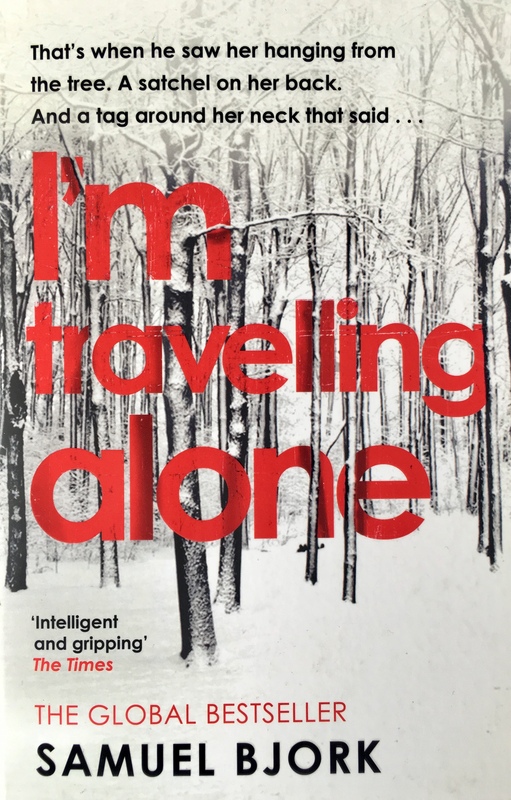 I’m Travelling Alone is told from multiple perspectives meaning that the action never really lets up and while you may have more information than the detectives, that doesn’t mean you can see how everything’s connected straight away. There’s subplots that on the surface don’t look to be related to the main case but slowly the people become connected and the way everything is interwoven together is very natural. The chapters are very short, often less than 10 pages, and they nearly all end on a mini cliff-hanger which makes this over 500 pages story a quick read. I’m Travelling Alone is often tense and it definitely has some unexpected twists and turns as the case develops and it becomes clear that there’s something seriously disturbing about the killer. Mia and Holger are very different people but the way they work together is great. There’s the mentor-mentee relationship but Mia is so good at seeing patterns and the connections between things that she’s often smarter than Holger. That doesn’t mean Holger’s an idiot though, they each bring something to the partnership and the scenes when they bounce ideas off each other are enthralling. The whole team is great and it’s clear why they have been brought in on this case and they all bring a unique perspective to the team. I’m Travelling Alone does end somewhat suddenly. Everything’s been building and building, and then it doesn’t really have the closure that I was expecting. Besides from that, it is an enjoyable and engrossing detective story. 4/5.